The second largest city in New Jersey and the county seat of Hudson County, Jersey City has had quite a varied history from its Dutch beginnings in the 1600's to its current culturally diverse cityscape. A multitude of backgrounds, religions and languages now occupy this area. Like its counterpart across the Hudson, Jersey City began as a main settlement surrounded by several independent municipalities such as Van Vorst Township and Lafayette. In those days, the communities were mostly suburban with tracks of farmland surrounding them. In the late 19th & early 20th Century, a greater city incorporation was conceived and the loose knit communities formed into the present day city. Today, each section still contains its own distinct features. When asked where they are from, natives and longtime residents note the section and not just Jersey City. 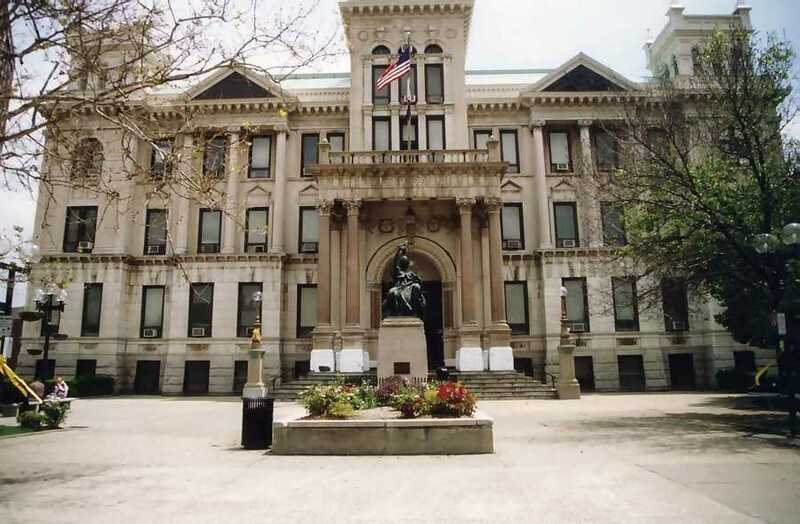 The city also boasts two major resident institutions of higher education, New Jersey City University and St. Peter's College. Pictured top center, Jersey City city hall, with its large commemorative statue of Justice featured bottom right. This notable Greco-Roman facade served as a backdrop for a special performance of 1999's Julius Caesar. 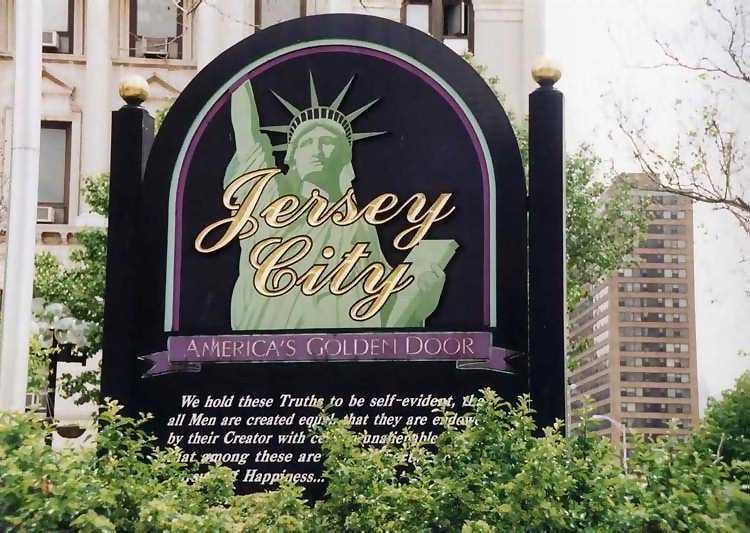 The city's motto "America's Golden Door". The city is our company's home town and main rehearsal site for our Summer Shakespeare Festival in the Parks program. Nearly all of Jersey City has been our venue for over the last 10 years. Hudson Shakespeare began with a staged readings of such Shakespeare plays A Mid Summer Night's Dream in Hamilton Park in 1992, before expanding to other areas in Jersey City and Hudson County. In 1998, we became part of the city's annual Summer Gazebo Concert series. Today, we continue to produce both outdoor and indoor showings in association with the Jersey City Council on the Arts. Please click the links to the left for further information on our Jersey City venues, directions and notable information. For more information on current events and life in Jersey City view the above link's home page or click on http://www.jerseycityi.com/cityinfo.asp.